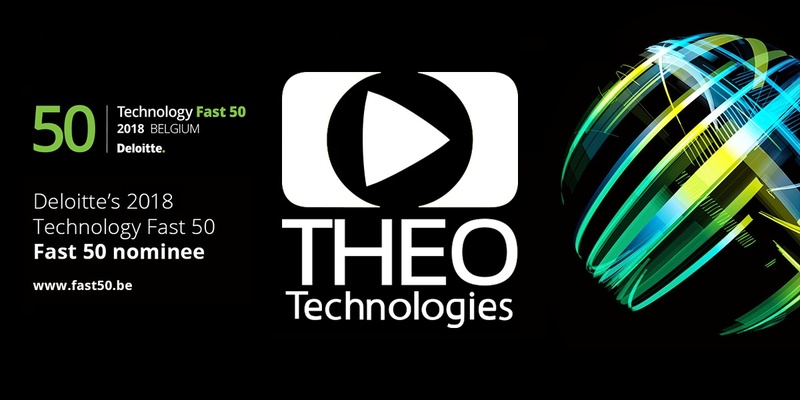 THEO Technologies has been nominated for Deloitte’s 2018 Technology Fast 50 competition for technology companies headquartered in Belgium. The Fast 50 award will be given to the country’s fastest-growing technology company, based on its percentage of growth in turnover during the last four years. The ranking will be announced at the Awards Ceremony on 15 November 2018. THEO Technologies’ purpose is to facilitate the perfect video experience on any platform or device, at any time and everywhere. Their top-class product, THEOplayer, is a fully HTML5 Universal Video Player, supporting every platform and device via a set of different SDKs. Awarded Best Video Player/SDK Solution in the last three years, THEOplayer delivers the most performant video playback technology: superior viewer experience in terms of latency, start-up time, seeking time, etc. and the most advanced feature set and functionalities. “We are proud to be nominated for the Deloitte’s Technology Fast 50. This nomination is a recognition of our efforts and we are thrilled to have been recognized for our work. It shows that we as a team are heading in the right direction and that we continue to grow.” says Steven Tielemans, CEO at THEO Technologies. THEO Technologies empowers video publishers, telcos and broadcasters to deliver cutting-edge video experiences to their audiences. THEO Technologies aims to be the most preferred supplier by ensuring the ease of use of videos online while constantly innovating the video streaming industry.